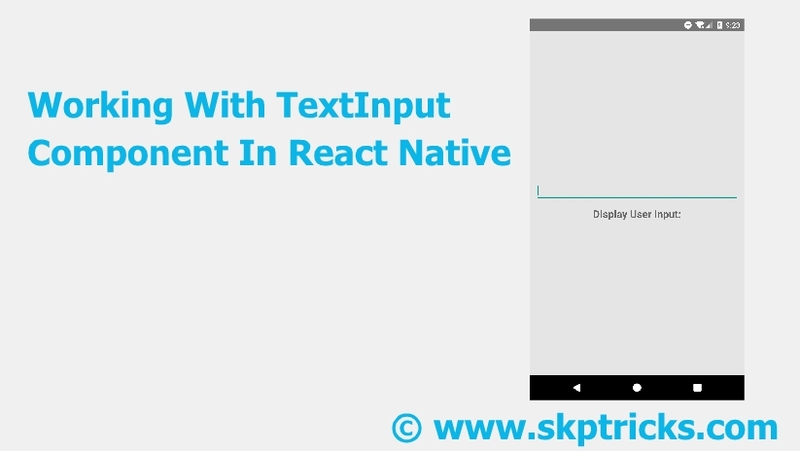 This tutorial explains how to use TextInput Component in react native application. 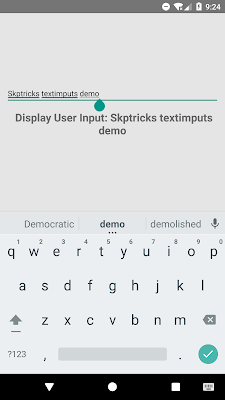 This Component helps to inputting text into the application text area field via a keyboard and also in this example we are going to display the entered text value of TextInput Component in the Text component with the help of States and Props. Props provide configurability for several features, such as auto-correction, auto-capitalization, placeholder text, and different keyboard types, such as a numeric keypad. Step-1 : Create a new React Native project. 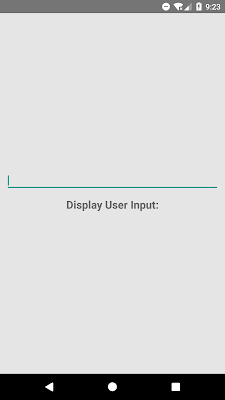 Step-2 : Add Platform, StyleSheet, Text, View, TextInput Component in import block. Add constructor block in react native class and here we are using states to store the user inputs in TextInput component. Step-4 : Adding the TextInput Component in render block. 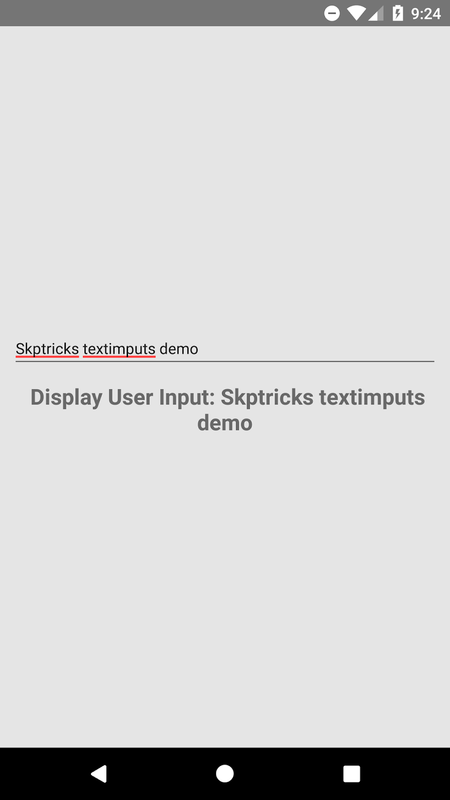 When user enters any text in text field then it will display the user inputs in Text component with the helps of States and Props. 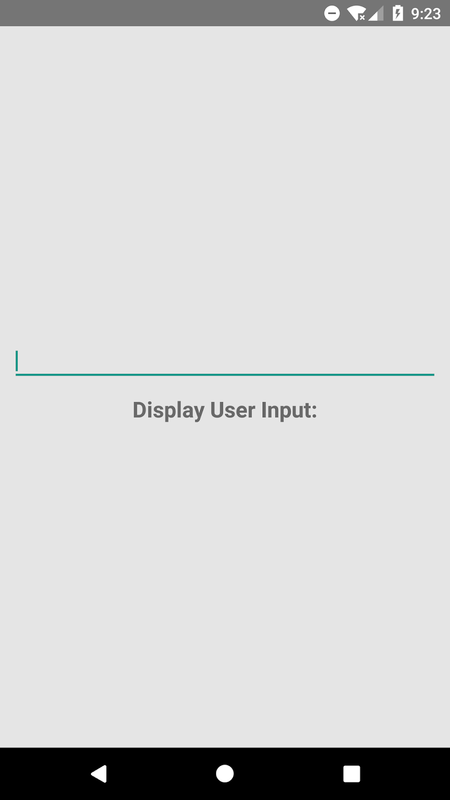 Lets see the complete source code that helps to display the text area field in react native application. This is all about TextInput Component In React Native.